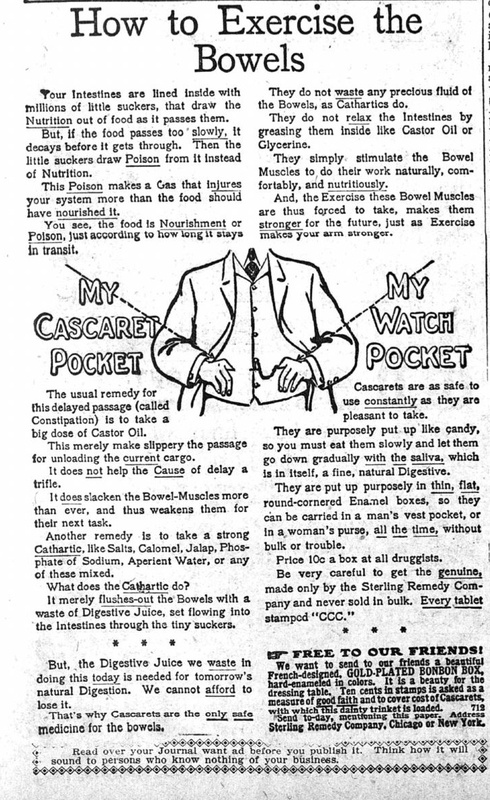 You see, the food is Nourishment or Poison, just according to how long it stays in transit. I like that they “are purposely put up like candy” for discretion and ease of use. I’m sure there were no ill effects when the kids found them and ate the whole box. 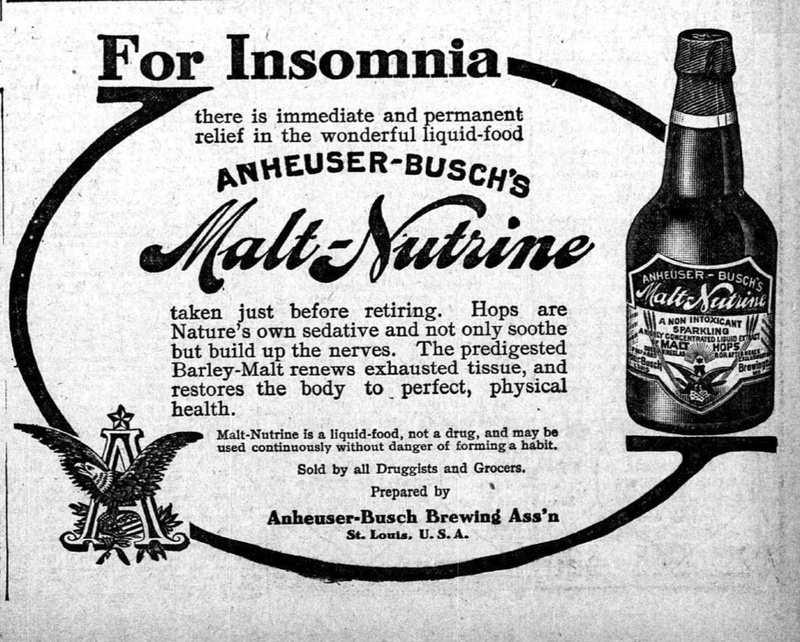 And then there’s Anheuser-Busch’s Malt-Nutrine, “For Insomnia.” And yeah, I’ll buy that this probably does help with insomnia. Calling it “liquid food” seems a bit of a stretch, though. Malt-Nutrine is a liquid food, not a drug, and may be used continuously without danger of forming a habit. This entry was posted in Archives and tagged beer, intestinal health. Bookmark the permalink.